This year, millions of people will use psychedelics outside of supervised medical contexts, many of them for the first time. Taking psychedelics can result in overwhelming and uncomfortable experiences, more likely with high doses, amongst first-time users, and without adequate preparation or setting. Psychedelic harm reduction includes a variety of methods to help prevent and transform difficult experiences while in a non-ordinary state of consciousness. 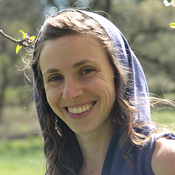 After receiving her Master’s degree in Transpersonal Counseling Psychology at Naropa University, Sara began working with MAPS in 2012, coordinating psychedelic harm reduction services at festivals and events worldwide with the Zendo Project. 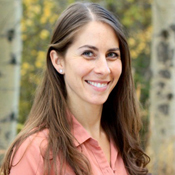 Sara was an Intern Therapist for the recently completed MAPS Phase 2 clinical trial of MDMA-assisted psychotherapy for PTSD in Boulder, CO. She maintains a private practice as a psychotherapist specializing in trauma and non-ordinary states of consciousness. Sara believes that developing a comprehensive understanding of psychedelic medicines through research and education is essential for the health and well being of individuals, communities, and the planet. Ryan received his B.A. in Psychology from Claremont McKenna College, and spent 10 years mentoring at-risk teens and families through wilderness survival skills and nature connection. His passion for community connection, the environment, and intrapersonal healing continued with his involvement in permaculture, natural building, and ancestral grief rituals. 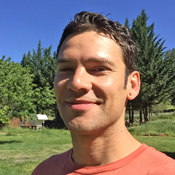 As a volunteer with the Zendo Project since 2013, Ryan has had the opportunity to connect and expand the scope of psychedelic harm reduction in communities and festivals all over the globe. As the Zendo Project Manager, he integrates his skills in psychology, design and and community engagement. When he isn’t on the road with the Zendo Project, Ryan can be found at his home in Boulder, CO enjoying the great outdoors, experimenting with sustainable technology, and designing websites, logos and sacred geometry art. Chelsea Rose graduated from UCLA Honors College with a BA in Psychology in 2007 and from there, proceeded to get her Masters degree in Integral Counseling Psychology from the California Institute of Integral Studies in 2012. She has a passion for Harm Reduction as a therapeutic and practical approach to drug use and abuse prevention. Chelsea works with DanceSafe, a public health organization, as manager of the reagent testing kit program. She also manages the Crisis Response Team at her local hospital emergency room for patients in psychiatric crisis. She lives in the Sierra foothills with her husband, Alexandre, who is also involved in Harm Reduction work, their three kiddos, many pets and a large community of friends. 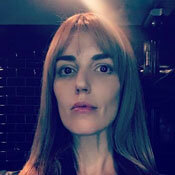 Erica Siegal M.S.W. has been volunteering with MAPS since 2011, including several years with the Zendo Project. 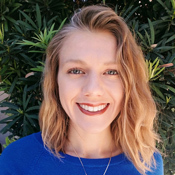 She is the Zendo Project Volunteer Coordinator, and currently the Study Coordinator for the MAPS-sponsored trial MDMA-assisted psychotherapy to treat social anxiety in autistic adults. Erica serves as Volunteer & Harm Reduction Coordinator for RGX Medical, a company that provides medical, first aid, and harm reduction services at over 30 festivals a year. Brooke Balliett, LMFT, is a licensed marriage and family therapist and board registered psychologist in Los Angeles, CA. With a specialization in prevention and early intervention in community mental health settings across LA, Brooke has a passion for building stronger communities through increased access to education and preventative services based on individualized community needs. Brooke is a co-therapist at the LA site for the MAPS Phase 3 clinical trial of MDMA-assisted psychotherapy for PTSD, maintains a private practice as a psychotherapist specializing in emotional intelligence, psychedelic integration and Jungian psychotherapy and provides direct service, supervision and training in harm reduction services at festivals, raves and events worldwide with the Zendo Project, RGX Medical and Project #OpenTalk. Shannon is passionate about life and growth. She cares deeply about humankind and the natural world. Shannon is dedicated to working with people through addiction, trauma, relationship, and the body. She received her Master’s Degree in Integral Counseling Psychology from the California Institute of Integral Studies in 2014, including a practicum working with youth on moderation management for drug and alcohol use. At MPBC Shannon serves as MDMA Therapy Training Program Manager, overseeing administration and program development to educate professionals and researchers to provide MDMA-assisted psychotherapy for PTSD in approved settings. Shannon is also committed to psychedelic harm reduction, and continues to provide integration services through the Zendo Project. Shannon served as co-therapist on the MAPS-sponsored Phase 2 trial researching MDMA-assisted psychotherapy for anxiety associated with life-threatening illness, and will be a co-therapist at the Phase 3 site in Los Angeles, researching MDMA-assisted psychotherapy for severe PTSD. She is a dancer and California native. An adventurer at heart, Shannon can be found running in nature or swimming in a body of water. Ale (pronounced Ah-leh) has a passion for health and wellness, which has come to form in many domains of his life. He manages the reagent testing program for DanceSafe, providing Harm Reduction services to people worldwide. 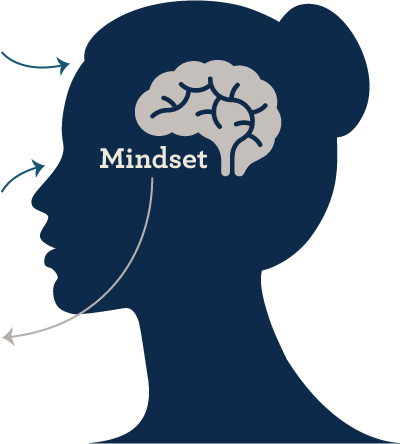 He specializes in Human Design analogy, helping people to discover and follow their natural rhythms and strengths. 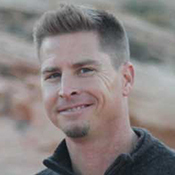 He has a love and knowledge of superfoods and nutrition, which he passionately uses to support his friends, family, and community, along with skills in massage, reflexology, and Rieki. Alex began working with Zendo in 2013, where he has used his skill to bring together the nuts and bolts of the Zendo, literally, making the Zendo structures and logistics run gracefully at Burning Man and beyond. Ale can always be found caring for others, including his vast community, his wife, Chelsea Rose, and their three kiddos, or caring for the land he homesteads in the Sierra Nevada Foothills of California. Zendo Project is sponsored by the Multidisciplinary Association for Psychedelic Studies (MAPS), a 501©3 research and education organization that develops medical, legal, and cultural contexts for people to benefit from the careful uses of psychedelics and marijuana. To find out more, visit MAPS.org.